We report on an experimental study on the interaction of a high-contrast 40 fs duration 2 TW laser pulse with an argon-cluster target. A high-charge, homogeneous, large divergence electron beam with moderate kinetic energy (~2 MeV) is observed in the forward direction. The results show that an electron beam with a charge as high as 12 nC can be obtained using a table-top laser system. 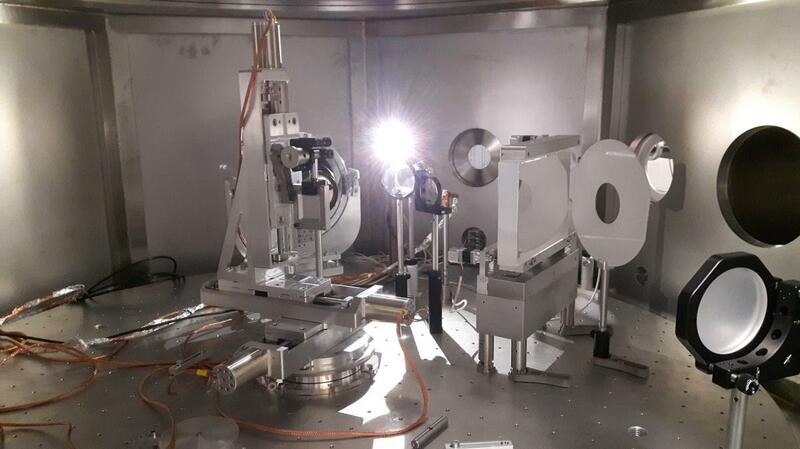 It was demonstrated that the accelerated electron beam is suitable for a variety of applications such as micro-radiography of thin samples in a wide field of view. It can also be applied for in vitro dosimetry studies. Research article on Laser-Plasma Interaction relevant for Shock Ignition scheme promoted by Physics of Plasmas as an Editor’s Pick.